My mentor Terry always said “Nothing but the best for the workers” and he meant it. He treated us well and paid us well for our level of ability. I’ve tried to maintain that perspective throughout my career. I recently had a new client muse “You seem like you are socially liberal but might be a fiscal conservative”. I answered “I like value and I love people”. am I a social capitalist? Just recently I settled on Ethical Entrepreneur. In all my business dealings I try very hard to maintain dignity for myself and for all involved. I have endeavoured to give voice to the voiceless and to raise awareness of issues that are flying just under the radar of most people. I have tried to bring a human face to issues. For the past 15 years since I left media college I have worked to develop what I refer to as Character Driven Storytelling. I have found that what viewers relate to most in visual media is other people that they can relate to or empathize with. As much as I like to joke about not playing well with others, I take great pride in putting together a team and watching them all do what they do at an expert level. Like my mentor Terry before me, I try to pay my people well – in most cases better than the industry rate. 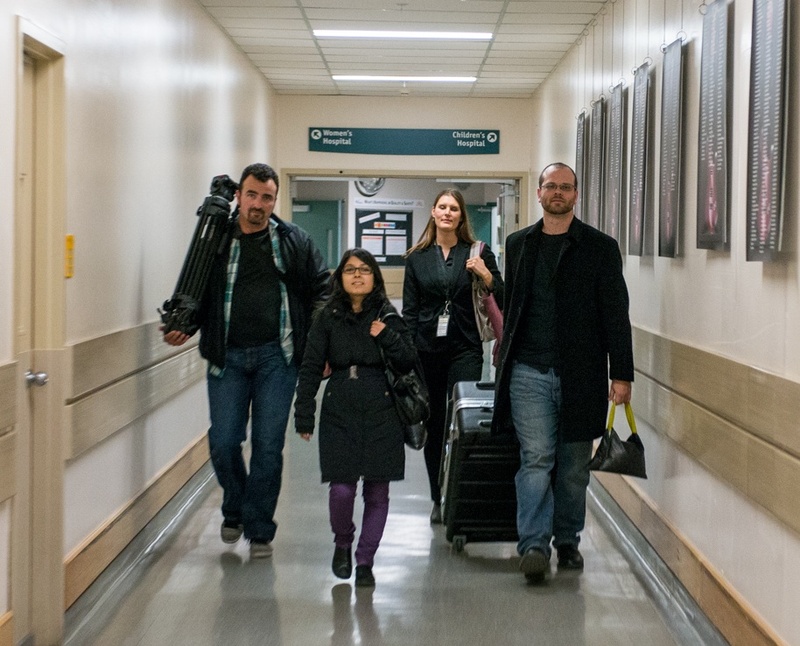 This typically means that I get the people I want on location when it comes time to go to camera. 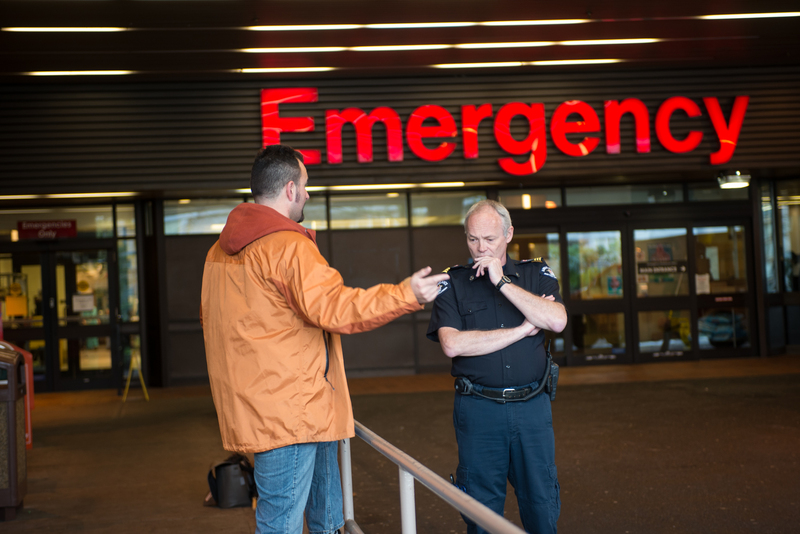 In a city like Vancouver where so many crews are found on Craigslist hours prior to a shoot, I pride myself on my real social network – the people I know personally or through people I trust. One of the proudest moments for me on every gig is handing over a cheque to the people who I hire. Spending money is never an easy thing, especially in these days of ever-tightening wallets, but good people are always worth the money. I built my businesses from nothing. Something very bad happened to me and one of my friends back in 1995. I decided right there that I was going to do something meaningful with my life. Life handed me lemons so I opened a lemonade stand. In 1999, I started Gearhead Visual Productions in Winnipeg, Manitoba with $500. 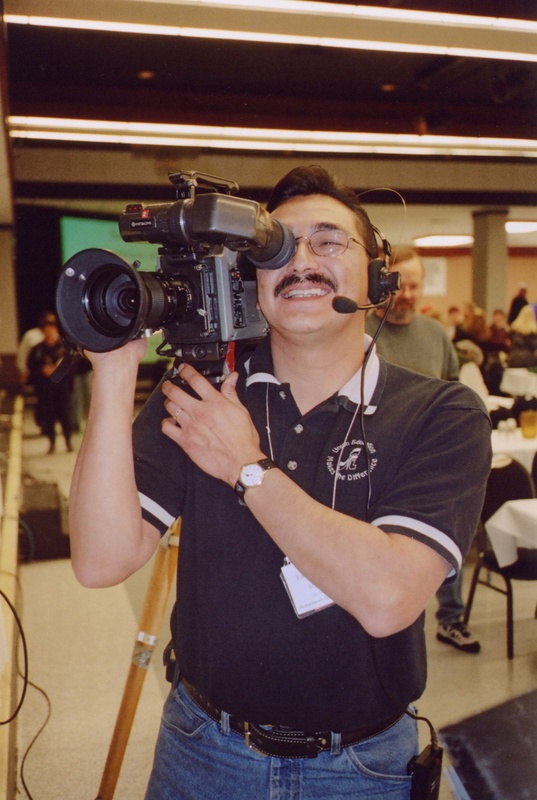 I made a decent living providing documentary visual support as camera operator and editor on international social justice documentaries and self-produced many workplace safety and health videos back when WPS&H wasn’t particularly glamourous. I learned then that investing in your business is a good thing. At least 50% of my revenue went back into the business back in those days. Even the name of my first business gives away my naiveté around that fact – I focused on the gear, not the people even though I knew the value of good talent. I am The Road Dog. I celebrate the people that allow me to do what I love to do. And I pay the ones who help me do the work with pride. There is a movement afoot that is actually somewhat concerning for me. There seems to be a transition toward celebrating celebrity amongst creative imaging types as opposed to actual knowledge. We are subjected to keynotes and endless product endorsements from a select group of practitioners while completely ignoring the true experts in the field with far longer histories of providing high quality information and service. I refer to this phenomenon as The Cult of Personality. I first became aware of this phrase in the 1980’s when progressive rock band Living Colour was getting extensive airplay with the song of the same name. 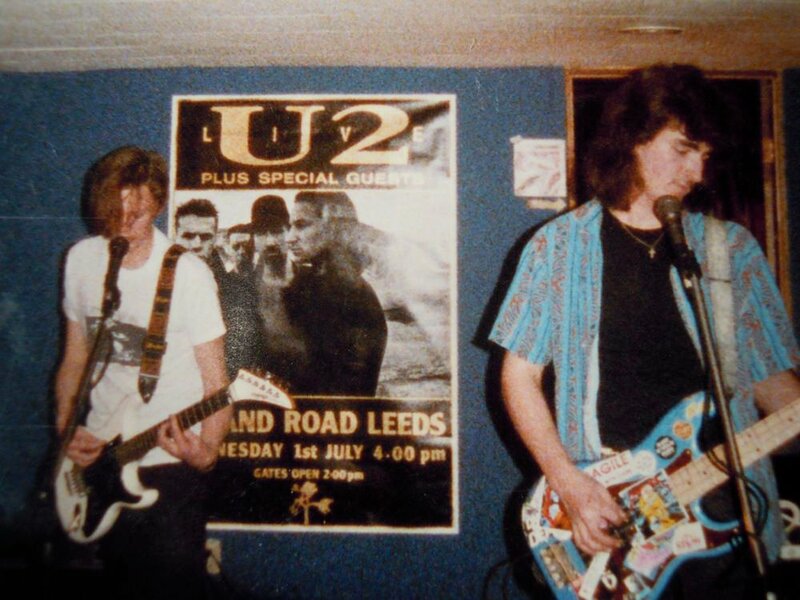 Me playing bass guitar back at the end of the 80’s with my then band Liberty Lives Upstairs. I’m the wookiee on the right. As someone who has dedicated 15 years to becoming as close to a master in my field as I can manage, this is disturbing to me. I live, sleep, eat and breathe video production. When I go to the National Association of Broadcasters convention, I return with 40 lbs in catalogs, product cut sheets and documentation. I read this stuff at breakfast, on breaks, while alone in the smallest room in the house, after dinner, in bed waiting to fall asleep… I contribute regularly to online forums and peruse them even more than I write. I’m kind of a big deal in certain circles. Now, the problem for me is I’m good at what I do. I’m really good at what I do. If I’m not good at it, I stop doing it. 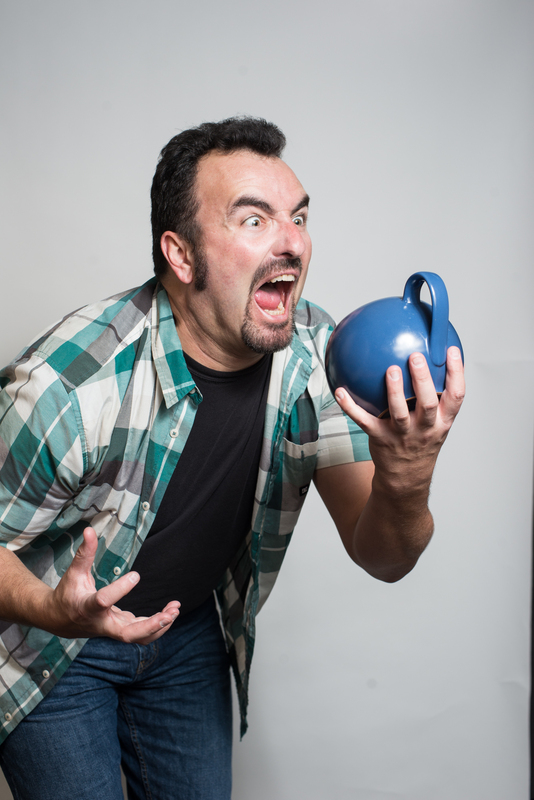 I might be smarmy in promo photos but I’m good at what I do. When clients ask “Can you do <insert video related service here>?” I almost exclusively answer with a caveat – “Okay… what is it EXACTLY you are looking to do? How do you see this working?”. Because it is crucially important to me that I understand exactly what they are looking for and not to make the sale just because. The interesting thing to me right now is with the advent of Google as the predominant way of getting your business noticed, I see a lot of practitioners spending more time on their SEO and Google Optimization than on their craft. Frankly, the search results I get when I look for specific search words in my geographic area baffles me. There are a lot of folks that aren’t very good at video who are great at SEO. When you are hiring a technical and creative professional, are you satisfied that you get results on a search engine that have been optimized by trickery and “first to the gate” biases or would you prefer to have your results filtered by expertise, proven track record and satisfied clients? Does the rumour that advertising with the search engine in question may improve a business’ ranking in search engine results temper your opinion of the validity of the search? Is an Internet Search Engine the optimal way to find a service provider or is this methodology fatally flawed? Contrary to popular opinion, I didn’t start this Blog to increase my Google hits – I started it as a repository for my thoughts that would be easily searchable for folks whom I have made contact with (my network, if you will) through true networking – personal interaction, either “in the flesh” or virtually on a web forum or other online outlet. I don’t use trickery to get higher search engine ratings. I Blog about things I care about and tag appropriately for search optimization, not search ENGINE optimization. I drive most of the traffic to this Blog myself through interaction. This has been borne out in my analytics. I spend some time learning about how to make my posts and information found online and engage in some best practices such as using Google Webmaster Tools but that is just part of doing the business of being in business, much the same as doing my books and paying the heat and light bills. 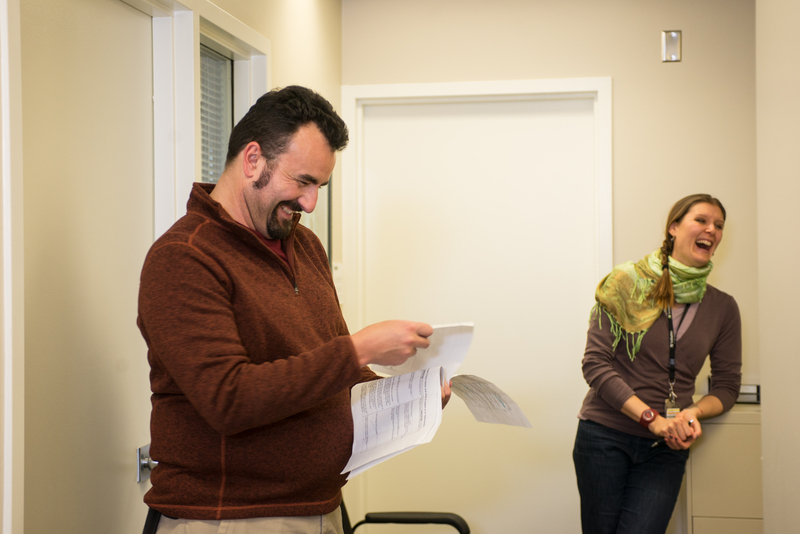 I spend most of my time getting better and more knowledgeable about the stuff that gets my clients better results. I recently sat down with friends to watch Love the Beast, a documentary about actor Eric Bana’s love and commitment to a car, his Ford Falcon. WARNING: There is some colourful language that may not be suitable for work or for some people’s sensibilities at 36 seconds in. In short, we are a hard group to impress. Let me start by saying the documentary is not without its faults, at least among this group. The visuals are good, the story is interesting and the characters are honest and likeable. But it isn’t superb. The parts we were particularly fond of weren’t necessarily the most beautiful bits but the most HONEST bits. Most of these moments come from old photographs or home movies that are of questionable quality by today’s standards. So then why do they speak to us so much? As I am so fond of noting, I now live in a cinema city – Hollywood North by most accounts, at least until recently. Some days I think there is a film school for every postal code here. 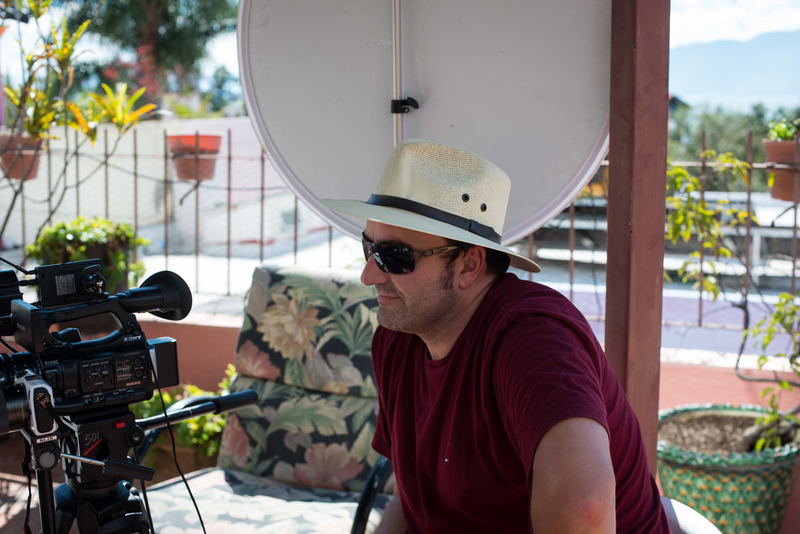 I’m NOT a filmmaker. But I am a visual storyteller. I recently offered to put together a quick promotional video for my friend and colleague, photographer Wendy D. She is hosting a wilderness retreat photography workshop again this summer in one of the most beautiful places on the planet. Last year, I tagged along to help teach the technical component of her workshop. At the time, I suggested we make sure to shoot some representative video of the workshop in addition to the stills she and her participants were willing to share. Why was this so important? As Wendy points out in the video below that we also prepared for her: when you take photos (or video…) at this year’s event, you now how promotional or representative images for next year’s event. As simple as that sounds, we often forget to do just that or we just quickly point our cameras and take snapshots or “home movies”. Frankly, that isn’t good enough. If we want to be taken seriously in any given industry, we need to have the best promotional material we can, given our situation. That could be due to fiscal or time restraints, it could be because this is the first time we have undertaken a new event, product or service. Ask yourself honestly: when you go looking for a service provider or product retailer online, if their website looks cheap or thrown together, what level of confidence does that inspire in you? We as consumers really are that shallow. So how do you compete in this marketplace, especially if you have some level of limitation around source materials? It is far less expensive in the long run to produce quality marketing materials if you document your successes along the way, with the added benefit of being able to spend less money more often thereby amortizing the production costs without needing to access your business line of credit. How often have you thought “I need some photos or video to promote my business. I’ll go look on iStockPhoto”. By the time you license the images or moving pictures, you could have hired a professional photographer and/or videographer to document your OWN successes had you only thought of it at the time. Wendy does a lot of work with one of the country’s leading business schools, both documenting their events as well as providing them with a wealth of stock photos in their own facilities that are instantly recognizable to potential students and community partners. Their recent annual report was released and the majority of the “stock” photos contained in it were gleaned from a single day photo shoot specifically for the report. This was far more economical than buying stock photos and of significantly higher quality (thereby showing off the school’s commitment to quality) than having their own staff people “just shoot some pictures”. I encourage folks who are looking to have more of a visual presence, whether a promotional/educational video or a more professional website, to start thinking long term. Start thinking about creating your own stock footage library of great moments and gorgeous visuals that help to tell your story. Make acquisition of images and footage a priority and not an afterthought. Contact your visual services provider about how to focus on images with a long term goal in mind. And if you don’t already have a visual services provider, talk to Road Dog Media or Wendy D Photography. When Eric Bana set out to make Love the Beast, he had a wealth of background material to tell the story with. That made the story much more compelling than historical re-enactments or other filmmaking subterfuge. I’ve made a commitment to visually recording my story, for better or for worse… you should too. Okay… maybe that last post was going a bit too far for a joke but my position is that whenever you work for free, you devalue yourself, your work and the work of others around you – working professionals like me, which is why I have a vested interest in educating those starting out on the damage that working for free does to us all. Yup. That’s what I’m telling you. Even when I was starting out, I always received something valuable for my labour. 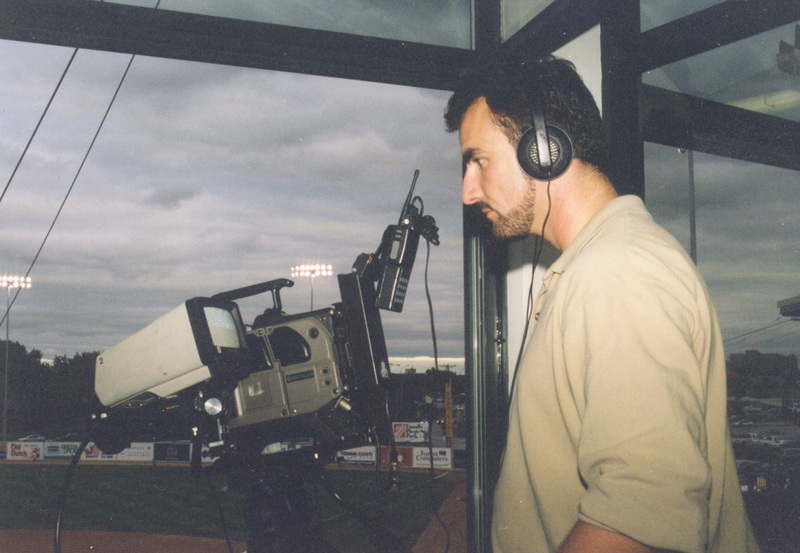 Me back in 1999, working studio camera for the Winnipeg Goldeyes Baseball team. That compensation wasn’t always purely financial – sometimes I received pay commensurate with my ability at the time, sometimes I got to work alongside seasoned professionals who took me under their wing and taught me more than I could learn in a strictly academic environment, like media college. Often, it was a combination of both. By the time I left media college, I already had numerous local and regional television credits and some great material for my reel. 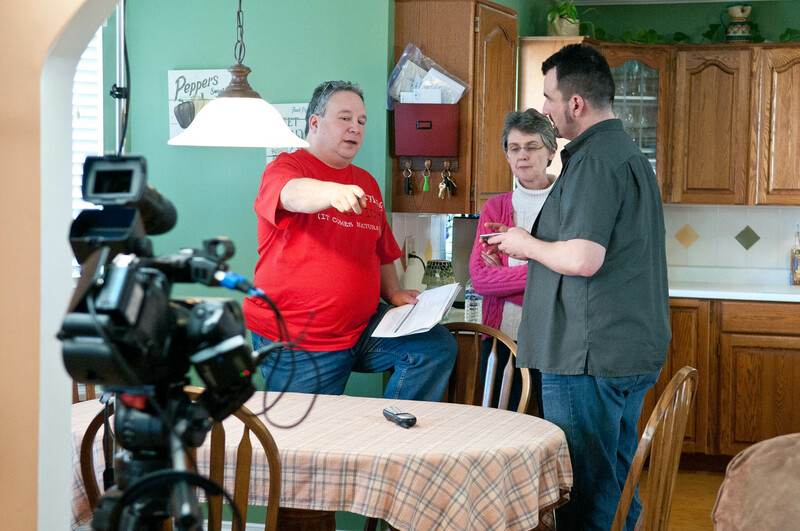 This culminated in DoP’ing a regional television commercial for Winnipeg hot tub and spa retailer Krevco Pools and Spas. 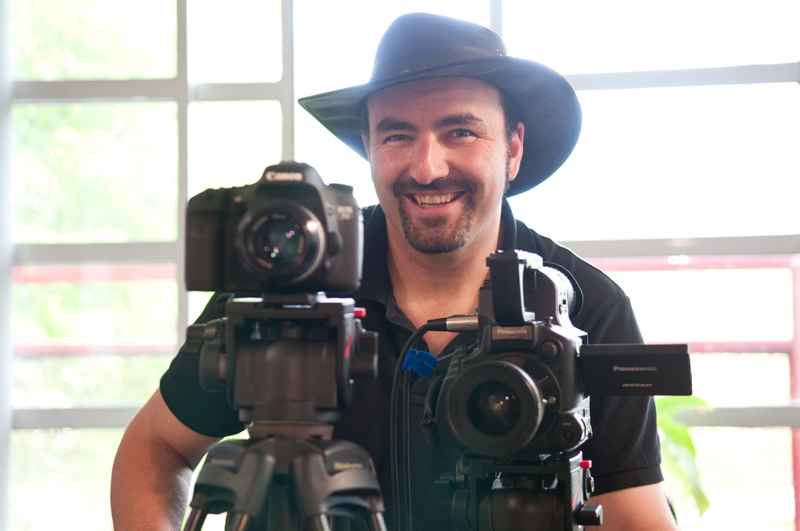 The education I got after media college though is what has made me into the video professional I am today. 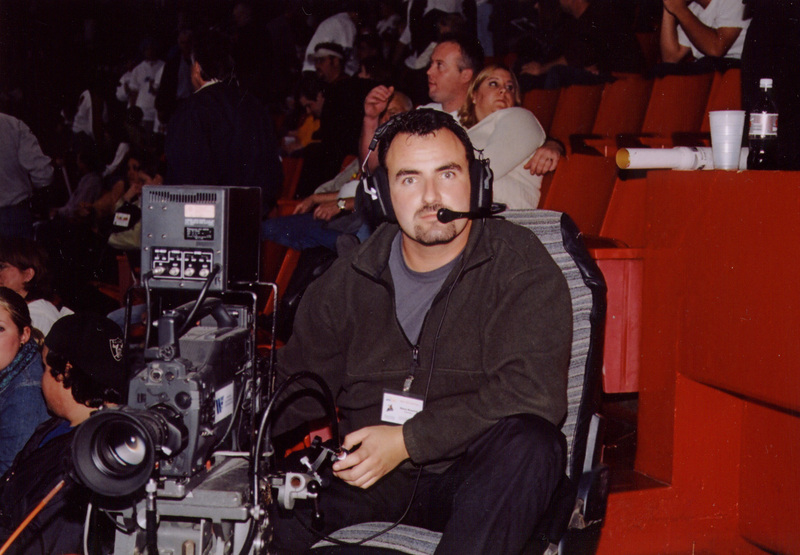 I started working with infamous Winnipeg sportscaster Peter Young as a camera operator in his fledgeling business providing multicamera live switched video service to the Winnipeg Goldeyes baseball team and the Winnipeg Blue Bombers football team. I was there when the video boards were first turned on in both facilities. Working with Peter at the Blue Bombers meant I was the east side sideline camera operator, tasked with getting crowd shots during breaks in play as well as ISO shots of the visiting team. At the Goldeyes, I started out as the 3rd baseline tight follow camera operator. 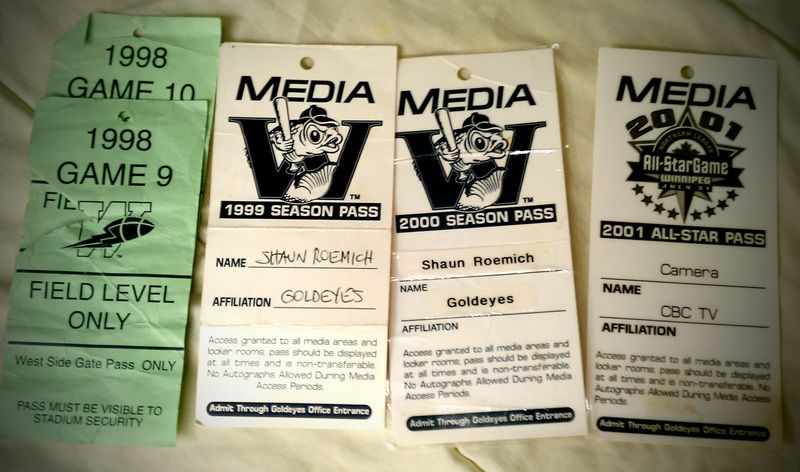 Winnipeg Goldeyes Field Passes + 2 Blue Bomber Field Passes when I did ISO recording from the Dome live truck for the sports show my media college produced once a week for television broadcast. I was paid according to my ability – I made $75 a game working for the Goldeyes, $125 a game working for the Blue Bombers. This was back in 1999. Standard day rate for first call shooters back then was about $200. I did not have the skills of a first call shooter, but I had the enthusiasm and the will to eventually become one! 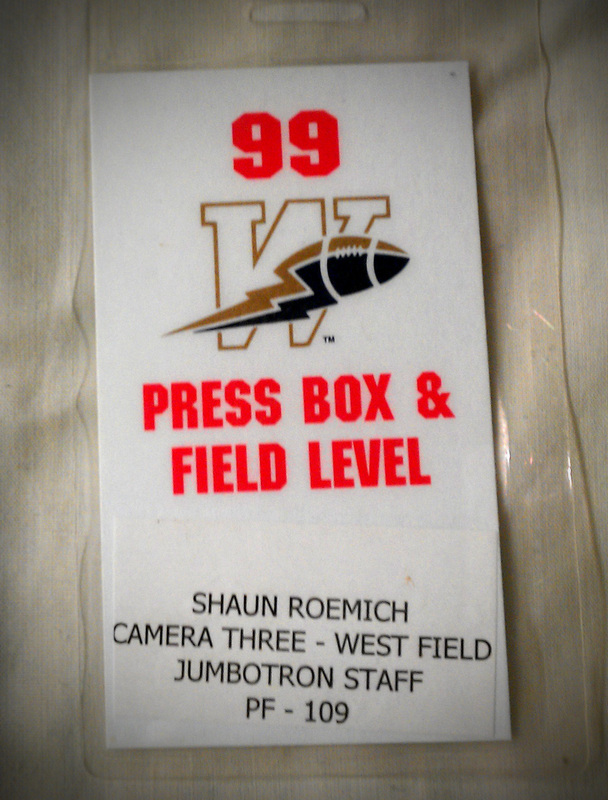 Working at the Blue Bombers stadium, I was working alongside some of the very best in “the game”. Names like Kenny Gable & Nelson Jones (both CTV) and Alf Carboni, who is quite possibly the best tight follow guy in live sports – he has worked at several Olympics and International sporting tournaments especially in hockey and ice skating. He is also one of the most genuine people you will ever meet. These were the people I had to “earn my keep” against. 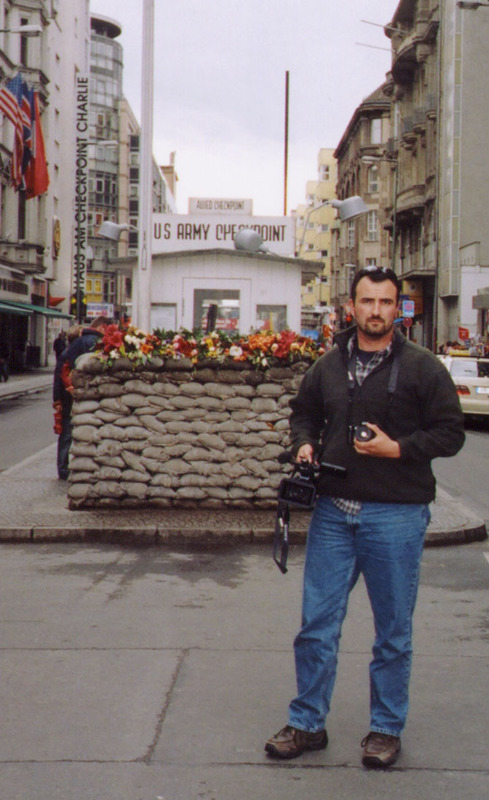 I became one of the best handheld camera operators in the business. Peter would have me pan-and-scan the stands on the east side for extended periods of time with a Sony Betacam on my shoulder, lens at full zoom looking for cute kids or couples just waiting to kiss for the sponsored SmoochCam! He worked me hard. He was unforgiving if I missed focus or started to waver after being live for a full minute at full telephoto. But I ate it up and I got better. Much better. Eventually, I started working my way up the proverbial ladder on the events that didn’t have the full production day budget as a CFL football game (Canadian Football League for the non-Canadians out there). Peter even started cycling me through the switcher’s seat on low stress gigs so he could wander off to chat with some old buddies of his who might be hanging around the press box. I learned EVERYTHING I could. I became Peter’s resident expert on all things technical. 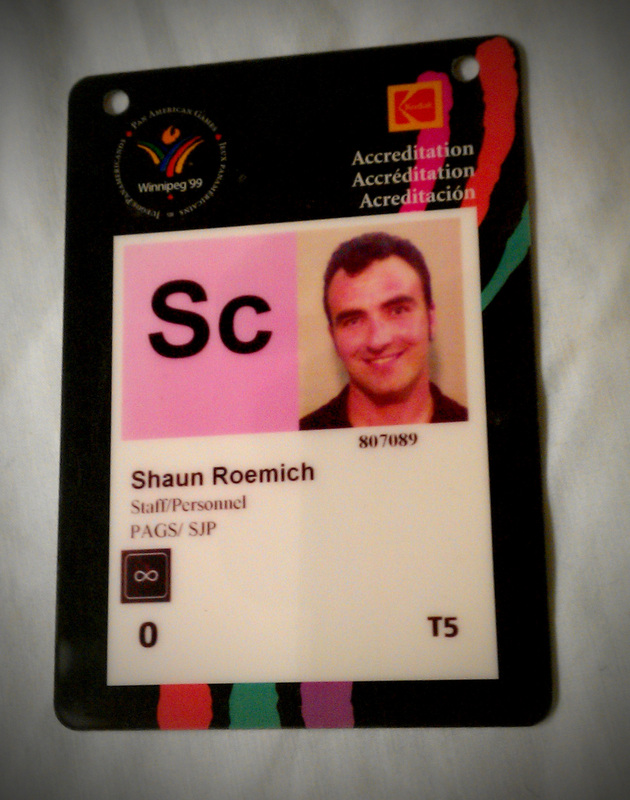 1999 Pan American Games All Access Pass – a rare “Zero Infinity” pass – the ONLY place I wasn’t allowed with this pass was the athletes’ quarters. In 1999, the Pan-American Games came to Winnipeg. I was put through some fast paced training to learn how the video boards actually worked and how the graphics and video playback servers operated at three venues and had a crash course in a glow board at another facility. I was on-call for the run of the games at the CanWest Baseball Park (baseball – scoreboard with video screen), the Winnipeg Arena (gymnastics – 4 video screens) and the Pan-Am pool (aquatics – glow board). I had been out of college less than 8 months. 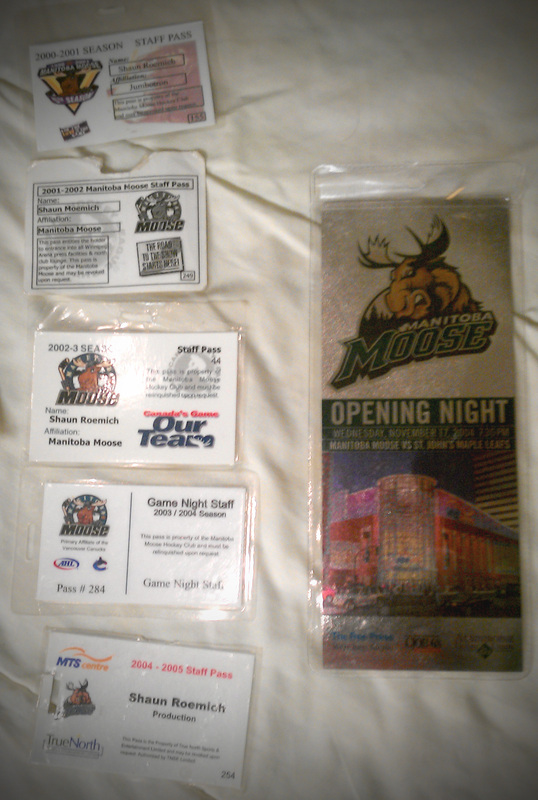 Manitoba Moose Game Day Passes – All Access. The IHL (International Hockey League) Manitoba Moose, later to join the AHL (American Hockey League), were looking for new game night production crew. Peter Young’s oldest son Jason and I put together a pitch to provide staffing for game nights. This would include my brother, a talented graphic artist who loved sports, an affinity I never really had, strangely, despite just how important live sports was to my development as a working videographer. Me in one of the last surviving swing seats in professional hockey, operating a Sony UVW100 Betacam. In the beginning, I was a bit of a utility player, taking any position that needed doing from game night audio to handheld camera to the occasional stint on the swing seat tight follow camera. 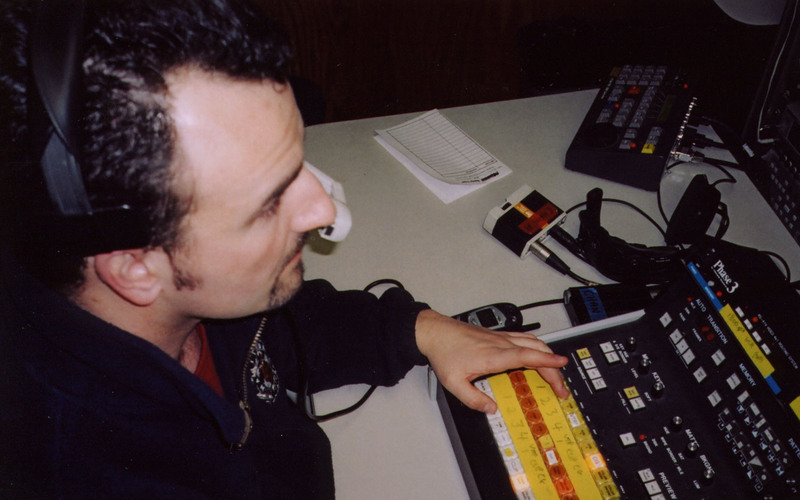 Technical Director Switcher at Winnipeg Arena operating a ROSS Video Systems RVS210 switcher. At some point, I moved into the director’s chair, sitting behind a wall of monitors and VTRs, pushing buttons and yanking on the T-bar of a ROSS Video RVS210 video switcher. I had arrived! As much as I love shooting, I’m most at home calling the show. 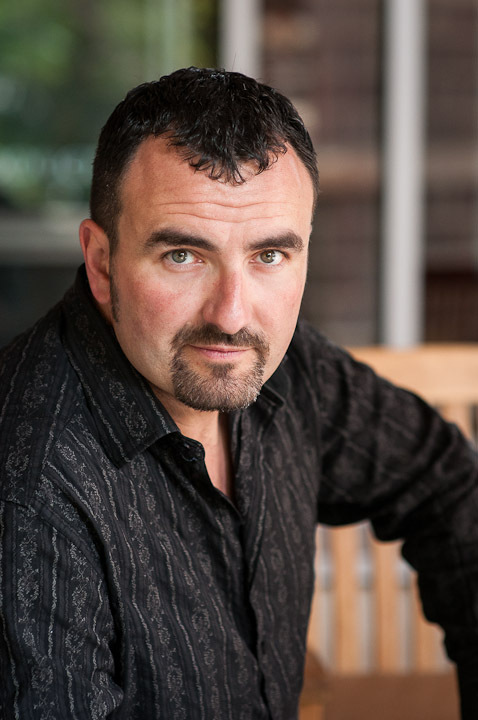 All along the way, I learned new skills, networked like mad and ALWAYS got a pay cheque – not always at full scale but I weighed the benefits against my time. I trusted those around me and they brought me along for one heck of a ride.